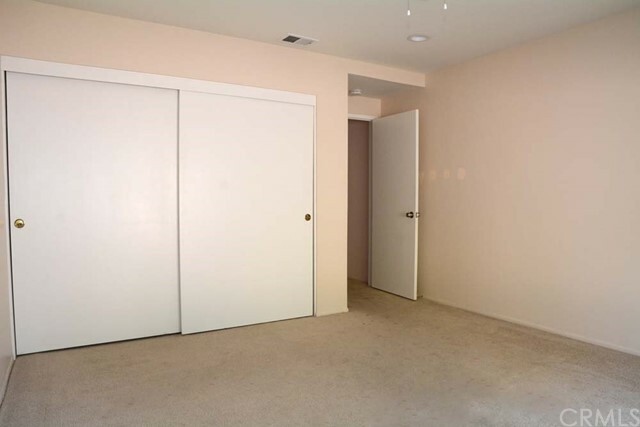 If you’re looking for carefree living near multiple amenities, this is the place for you. 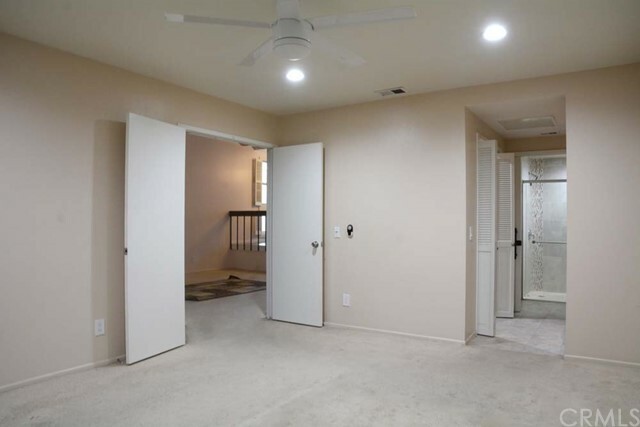 This updated condo in the Riverside Canyon Crest Villas complex is a tri-level unit with open, vaulted ceilings. 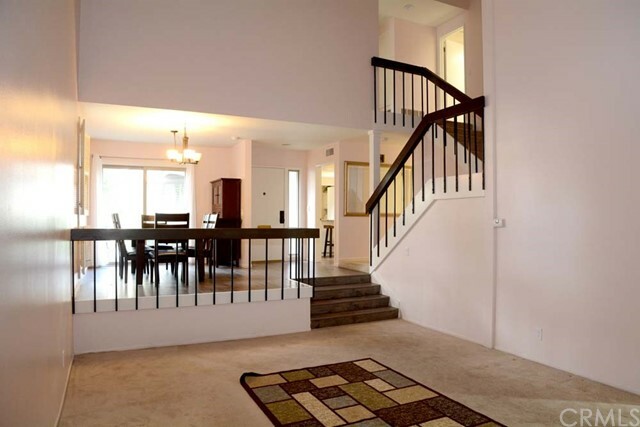 As you enter the home, the entryway meets up with the dining room. 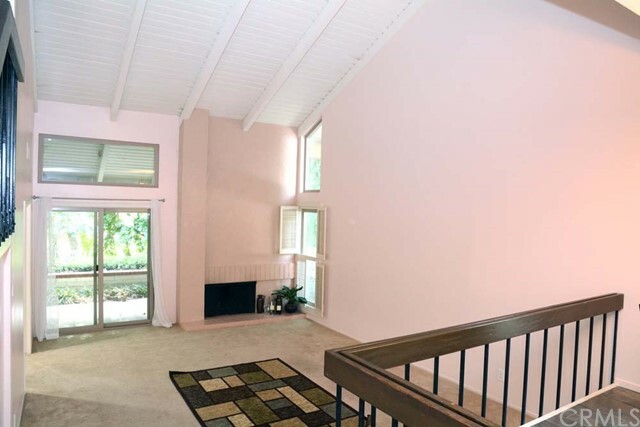 There is a sliding door from the dining room which leads to the front porch area. 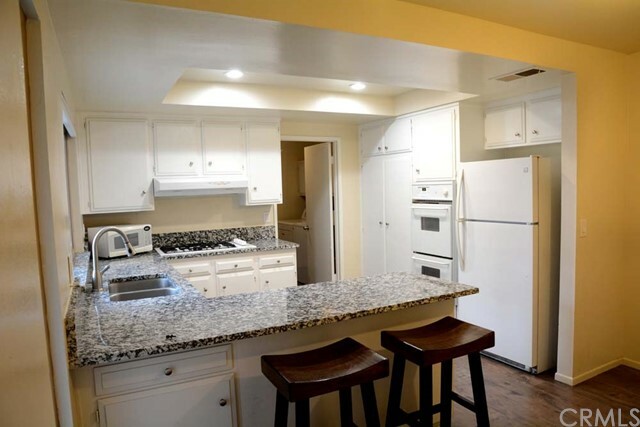 The kitchen is located on the same level as the dining room and features updated appliances & granite counters. The kitchen is spacious together with the kitchenette eating area. 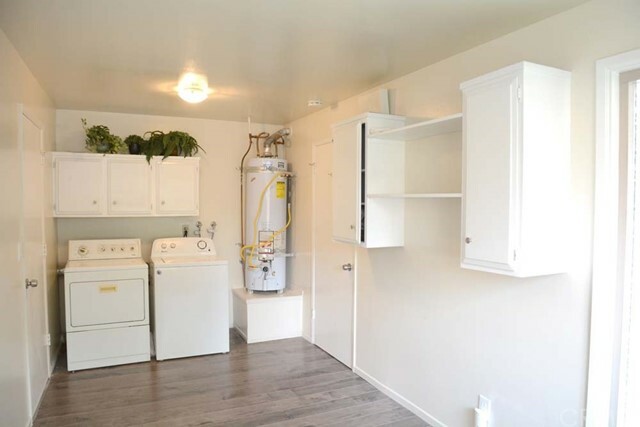 Between the kitchen & the attached garage is a spacious laundry utility room. The spacious sunken living room has a brick fireplace at the far end & a sliding door which leads out to the back patio sitting area. 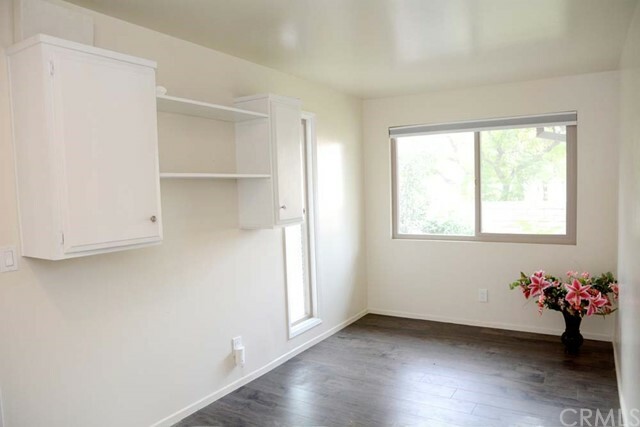 One of the best features of this unit is that the master bedroom suite is on the lower level of the home. 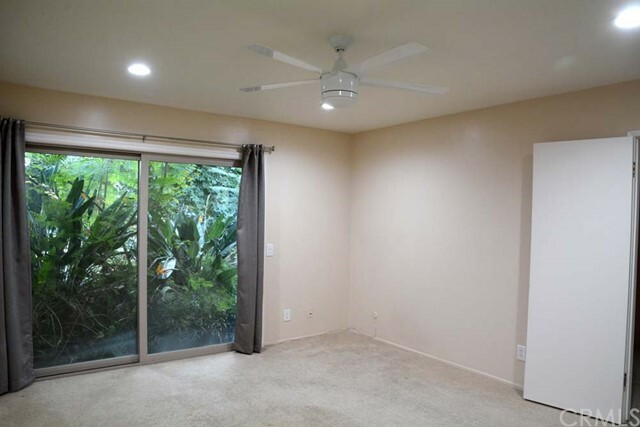 The master bedroom has a sliding door with access to its own patio space. 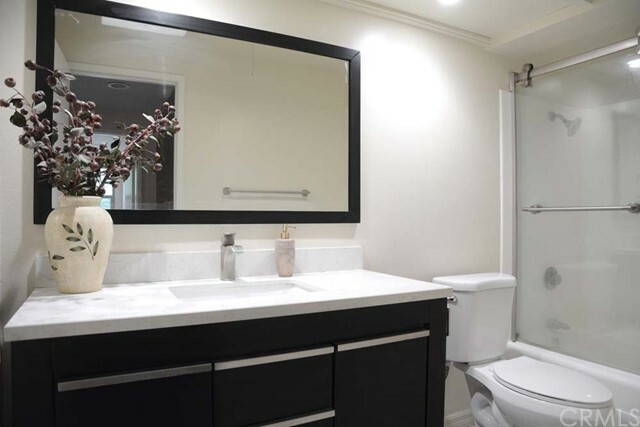 You’ll appreciate the updates in the master bathroom with marble countertops & a custom shower enclosure. 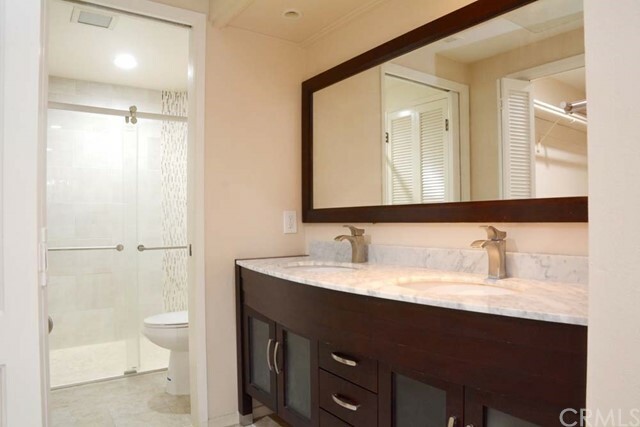 There is a half bath located off the dining room, very convenient for when you have guests over. 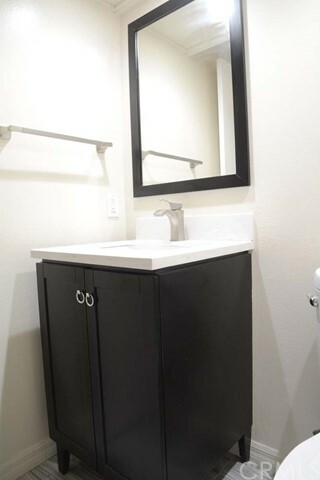 Upstairs are two spacious bedrooms & a full bathroom. 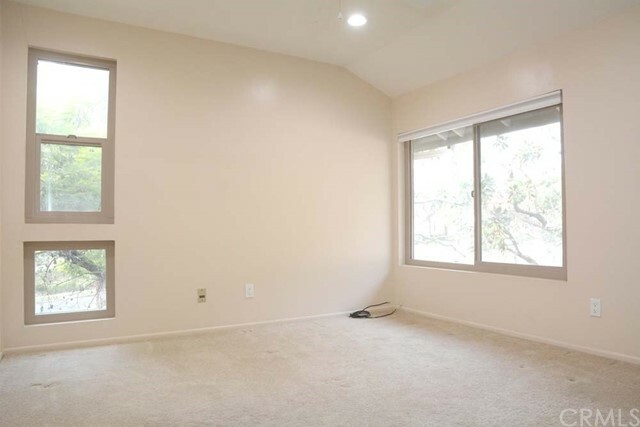 There are newer, double pane Milgard windows and sliders throughout the condo. 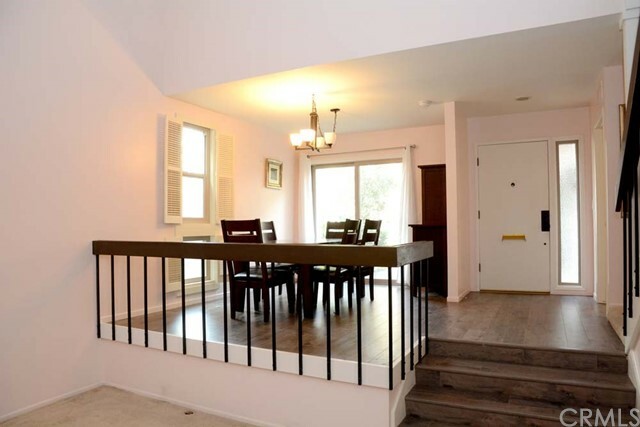 The condo is close to the association clubhouse and swimming pool. The association fees cover landscaping, roofing & exterior painting. 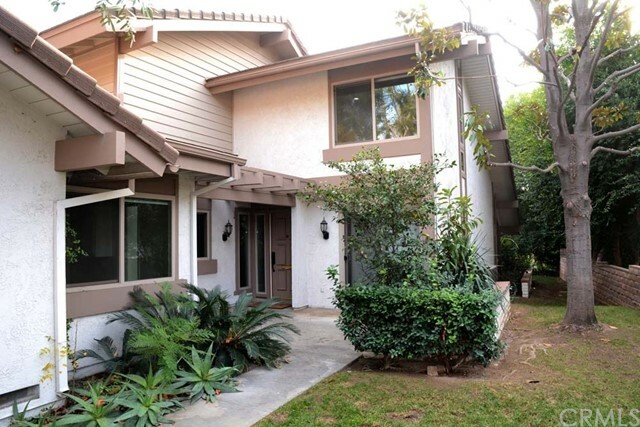 Located close to the Canyon Crest Town Center, UCR & transportation, you’re at the center of it all.